HAHAHA! I don't get it? this graphic metaphor explains the sexual revolution that has taken place since the year of our lord 2007 in the residence depicted therein. While once a simple one-off image created by candle-light on an iMac, this symbol has now become our flag, or ensign. 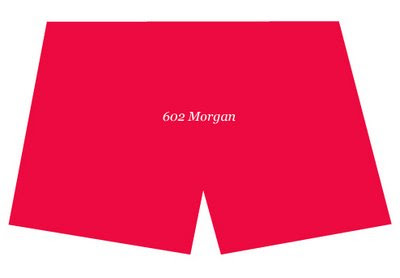 Dear lord...602 Morgan is the epitome of sexualization and pervitization! Pants off everybody! Let's get busy!